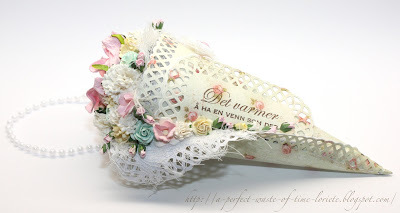 Today is my day to show an inspiration to Kortgleder's blog friends and here is Tussy mussie or like norwegians say 'kremmerhus'. 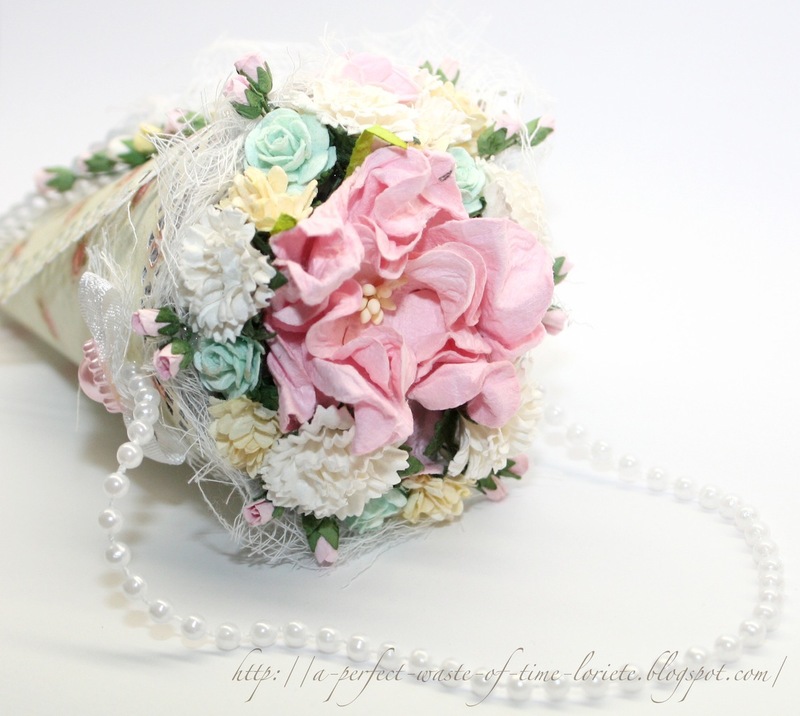 It is made using new Tonic Studios puncher and dies - love them! They are so pretty and practical! 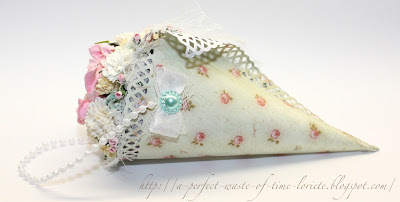 With this tussy mussie I also participate in challenge at The Shabby Tea Room #129! Oh my...this is SO beautiful! So pretty! 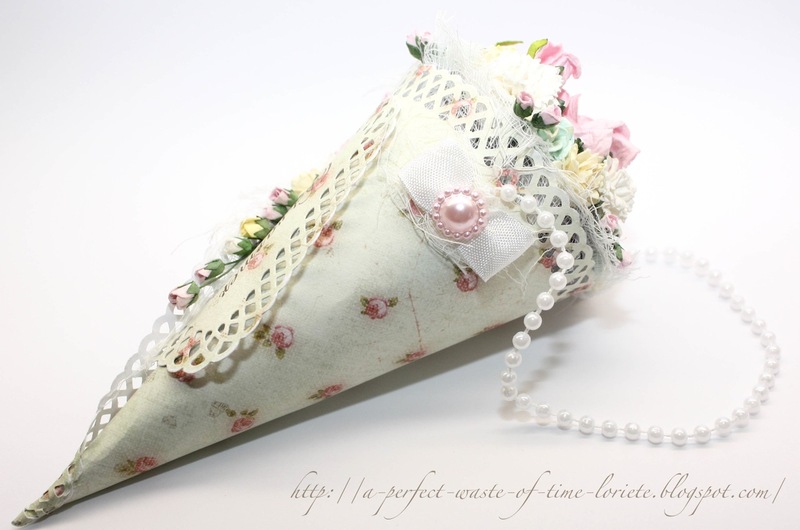 Love the cone shape and all the pretty elements. Beautiful! I love your cone of flowers, how happy I am that you sharing it with us at TSTR! Just beautiful! Such a charming, lovely project. Just wonderful.